This pack is perfect for an RPG or Sandbox game but you can easily it in other genres as well. 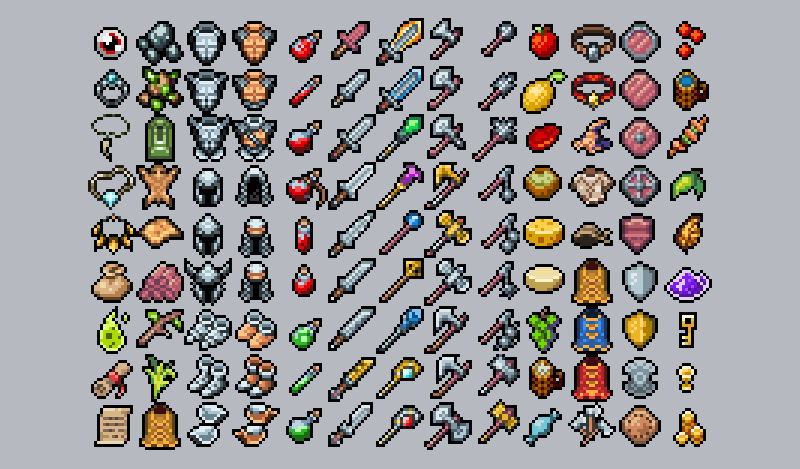 All items comes in 16x16 size in its seperate .png image with transparent background. 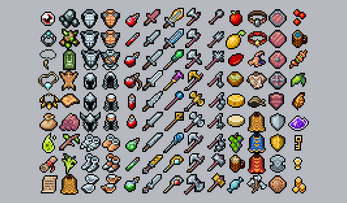 There is also a whole icon spritesheet .png file. I'll add some items to the pack through the time so make sure to come back from time to time to see if there's an update.